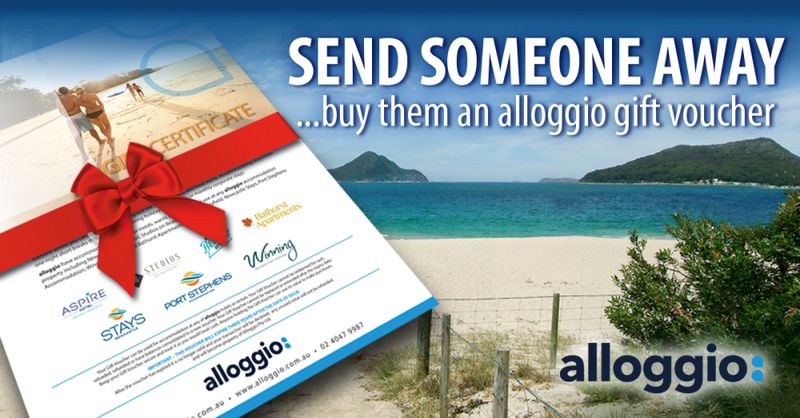 The perfect way to say "Congratulations," "Happy Birthday," "Merry Christmas," "Well Done," "Thank You," or "I Love You," is with an alloggio gift voucher. Available to purchase online at any time, and can be used at any alloggio property in Newcastle, Port Stephens or Bathurst (minimum spend $50 and three years validity). Click here to find out more and purchase a gift voucher.